Special Olympics Illinois is a non-profit, tax-exempt organization that raises funds through private means, such as donations and grants. Special Olympics Illinois is accredited by Special Olympics, Inc. which operates in all 50 states and in more than 180 countries. Illinois supports nearly 21,000 athletes with intellectual disabilities and more than 6,000 Young Athletes ages 2-7 with and without intellectual disabilities annually from communities throughout the state. The focus in Special Olympics is on what athletes can do. Like everyone, Special Olympics athletes like to win, but more importantly - they strive to do their best. The sportsmanship that is demonstrated on the court, in the field, or on the track serves as an inspiration to all. Funding comes from individuals, organizations, corporate sponsorships, special events and grants. Special Olympics Illinois is not a United Way agency, nor does it receive funding from the Joseph P. Kennedy Jr. Foundation. It strives to meet its goal to ensure more than 70 percent of funds are used for program delivery for the athletes. 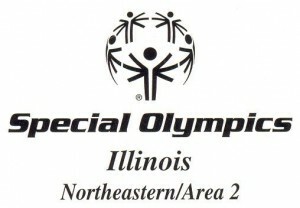 All contributions to Special Olympics Illinois are tax deductible.